Retailers are always talking about, “driving traffic,” but with EnviroSpark, now they literally can. Savvy retailers understand that offering customers the ability to charge their EV while they shop is just one more reason to stop by. 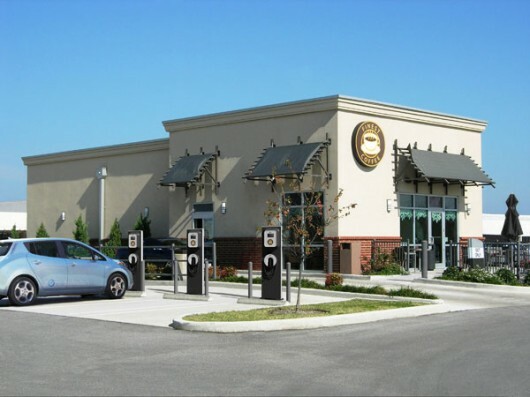 Getting customers in the door is hard work, but EV charging stations attract customers who stay longer and spend more. That’s why at EnviroSpark, our motto is “Drive traffic. Drive sales. Drive loyalty. Then repeat.” Sound good? At EnviroSpark, we think so. Preferred parking and loyalty rewards are known drivers of business. EnviroSpark can install a EV charging station that could quickly pay for itself. The cost for us is well worth it for the customer convenience. We find it is a good return on investment.